We all know this time of the year can get quite expensive, with all the presents and parties there’s probably not much budget left to buy fancy new outfits for each occasion. Worry not, I already showed you how to make the most of your wardrobe without spending another penny. Today, we are taking it up a notch by creating brand new party looks with items you’ve already got lying around. I can hear you thinking “but I don’t have anything I can use”… Yes you do honey! 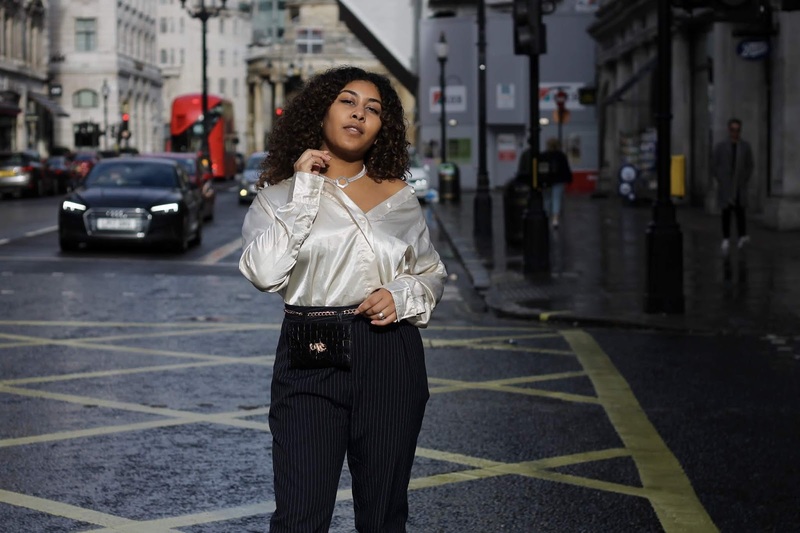 Have a good browse in your wardrobe, there should be at least a couple of items that you can use when you pair them with the right accessories. To give you a good example, I was really excited but also stressed about Halloween because we never really celebrated that when I was growing up in Holland. So when I was invited to a Halloween party I had no idea what to wear. I bought two accessories, and figured that something currently in my closet would have to finish the look. That something turned out to be my favourite summer dress! Who would’ve known that the dress I wore most this summer would also be part of my devil Halloween costume?! Did I win best costume? Absolutely not. But I did receive a compliment and it made my night! Believe it or not, the most compatible items will most likely be your office clothes. Only because they are (probably) smart and paired with the right accessories you can elevate smart to evening wear. Add some glitter and sparkles and you’ve got yourself a party season appropriate look! I used a pair of pinstripe trousers that I got ages ago on a trip to Dublin. 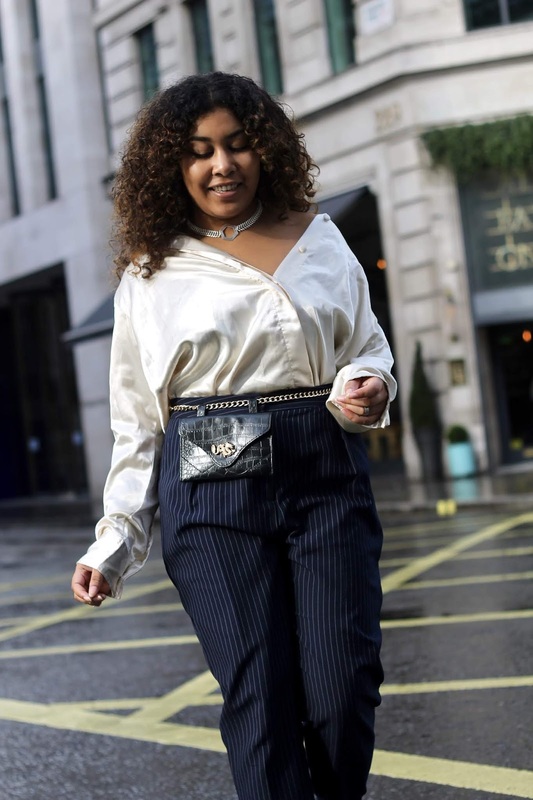 These trousers are definitely part of my ‘I don’t know what to wear today’ work attire, but I gave them a completely different look when I paired them with the gorgeous satin KAI Collective shirt. The first time I wore that shirt, I actually styled it down with a pair of jeans and knee boots. Somehow I thought the two would look really nice together. However, to my surprise, the shirt worn traditionally didn’t do anything for the trousers. Perhaps because both items are quite oversized. 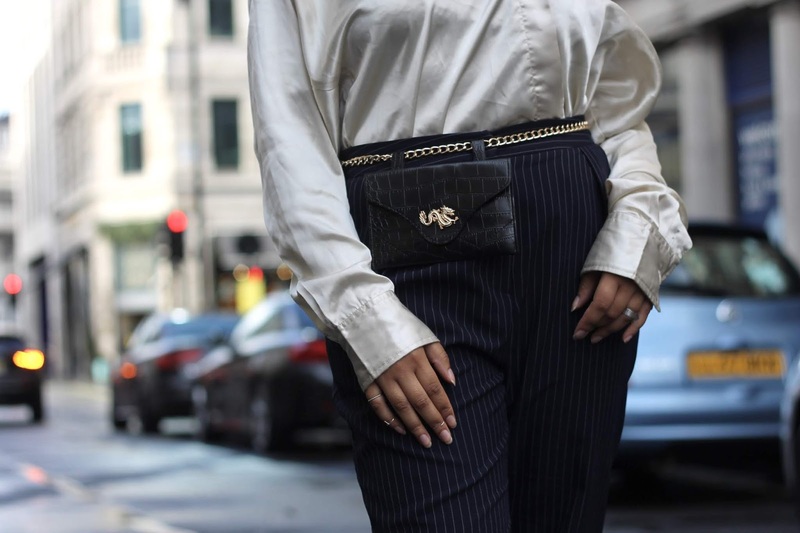 I added my favourite belt bag to bring back some shape to the silhouette and instantly could see the difference. But the look wasn’t finished yet. As you can see, I decided to wear the shirt off my shoulder. Something a little less traditional like that instantly adds such an interesting detail to any look. Although I opted for an off-the shoulder look, wearing the shirt backwards would’ve looked really good too. 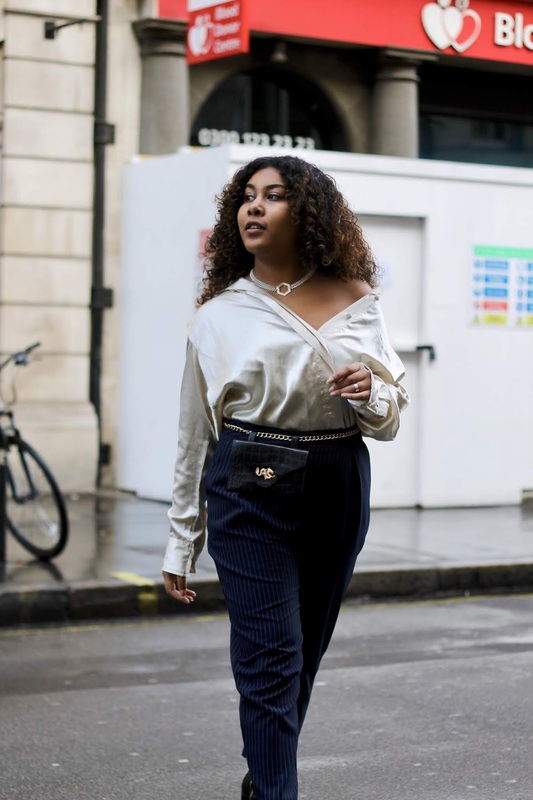 Take you favourite pencil skirt that you wear to the office on the regular, style it with a cute shirt that you tie at the waist and leave a couple of buttons undone. Or wear your power suit, leave the blazer open and wear a pretty bralette underneath. Take a slightly oversized black blazer, wear it with black (faux leather) skinny jeans and a gorgeous belt. If the blazer is long enough to cover your bum ditch the trousers and you’ve got yourself a blazer dress! You might want to wear that with knee boots to keep your legs warm. 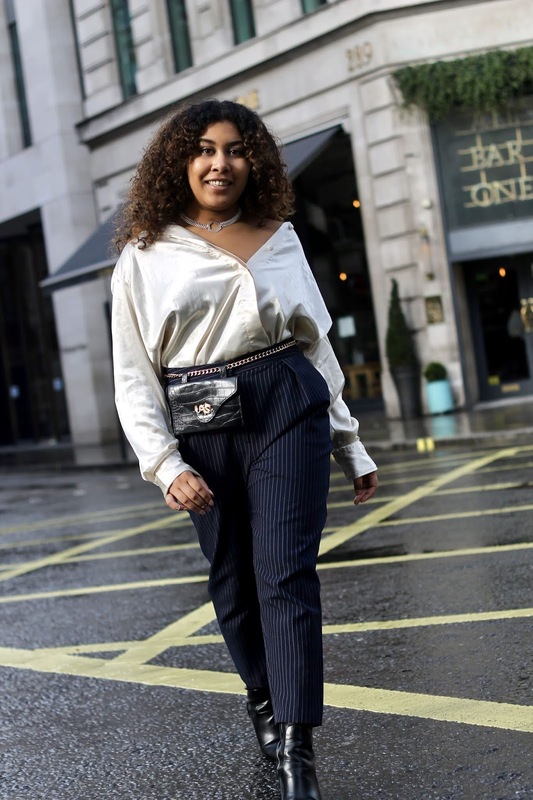 Any pair of smart trousers generally look great when styled with a crop top, it is actually my go-to clubbing outfit! If you re-style your old items for Party Season send me your final looks @justsavxnnah on Twitter and Instagram!